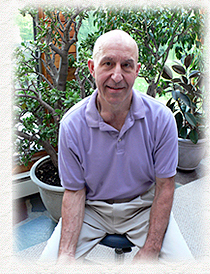 André Fritz brings to his practice over forty years of various experiences including Deep Tissue, Swedish, Sports, Acupressure, Polarity, Reflexology, Pain Management and Energy Work. He has worked and studied with the Rolf Institute and Guild for Structural Integration in Boulder, Colorado and the Esalen Institute in Big Sur, California. Based in Orange County NY, with a satellite office in Rockland County, André is internationally certified by the Associated Bodywork and Massage Professionals. He is a member of the International Association of Structural Integrators and the United States Association of Body-Centered Psychotherapy. André is a lifetime ordained minister with the American Fellowship Church. “I am fortunate to report that the seventeen years of treatments, which I have received from Rolfing, have spared me surgery, greatly enhanced my quality of life, and I remain a fully functional police executive at fifty-seven years of age.